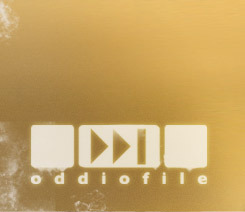 Sign up to receive an exclusive Oddio Mix! Welcome to the new ODDIOFILE website. Our latest redesign, the second since the site was launched in 2005, involved completely reimagining every aspect of the page. The visual design has been funked up, and our home on the web now looks every bit as dusty and disorganized as Andrew's vinyl-packrat record room. We've kept what was essential, but added a lot of new features as well. All mixes—including our popular GuestMixes—are now conveniently located on the sounds page, while regularly changing information such as event dates and monthly charts can be accessed on the bulletin board in the right sidebar. In the future, expect to find articles about aspects of dance music and vinyl culture under the "words" tab. There are many other surprises in the works, including a new mix series with collaborations from some of the world's top diggers and DJs. Perhaps the most significant change is the addition of a new blog: Crativity. This blog is a place for reflection and discussion about music and vinyl culture. Creativity with crates—get it? You can access the site directly, via www.crativity.com or can click through using the top menu. 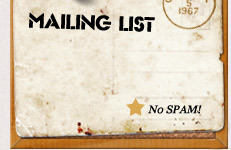 If you'd like to keep in touch and up to date, please sign up for our mailing list. I promise not to bombard you with irrelevant emails—just one message a month, on average. People who subscribe will receive an exclusive mixtape download (The Cojonudo Sound of Andrew OdDio). Finally, a very special thanks to Jordi Sagrera (aka JSD) of Imaginaria Studio, a brilliant designer and DJ who built his own love of music and vinyl right into our site. His attention to detail, ability to find solutions to complex problems, and willingness to go above and beyond have made the ODDIOFILE webpage all that it is.